Over the past few decades, elected officials and policy leaders have increasingly focused on "quality of life issues," seeking ways to not only create jobs and grow the economy but also to help people both strengthen family and community life and advance health and happiness. The arts have a role to play in this new agenda. In 2011, the National Endowment for the Arts collaborated with the U.S. Department of Health and Human Services to host a convening examining the relationship between the arts and wellbeing. From that meeting emerged an interagency task force involving 13 federal agencies and departments with the goal to encourage more research on how the arts help people develop their full potential at all stages of life. Rocco Landesman helped frame the new initiative when he remarked, "How do the arts help build us as a people and as individuals? We share a fundamental mission -- how to improve the quality of life. The arts are central to human development". 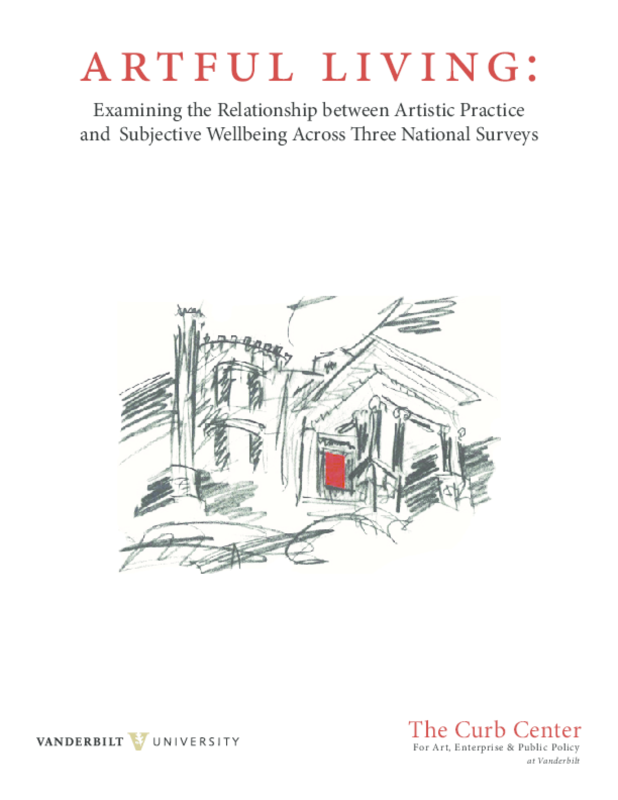 This report represents an initial exploration of the thesis that the arts are essential to a high quality of life. Using three national datasets, we examine the correlation between artistic practice and wellbeing among a representative national sample of adults, a sample of undergraduate seniors, and a sample of former arts graduates. Overall, we find strong support that artistic practice is associated with higher levels of life satisfaction, a more positive self image, less anxiety about change, a more tolerant and open approach to diverse others, and, in some cases, less focus on materialistic values and the acquisition of goods. Copyright 2014 The Curb Center for Art, Enterprise, and Public Policy at Vanderbilt University.